Established in 1968, UEP has grown to represent more than 90 percent of eggs produced in the U.S. Since 1968, UEP has worked at the direction of its farmer-members to deliver the best possible environment for egg farms to grow and prosper. UEP and U.S. egg farmers work diligently to advance high standards for egg safety, environmental responsibility and hen well-being while producing a nutritious, affordable supply of eggs. United Egg Producers was established in 1968 as a federated Capper-Volstead Agriculture Cooperative comprised of five regional marketing cooperatives. As members of their regional cooperative, individual egg producers then became members of the national organization, UEP. This year the organization is celebrating 50 years of “Leadership by Egg Farmers for Egg Farmers.” View UEP’s 50th Anniversary history book and video below. Supporting various research initiatives on food safety and hen well-being, such as the Coalition for Sustainable Egg Supply. Continuing to advocate for egg farmers through a government relations team in Washington, D.C. Egg farming changed considerably, with flocks getting larger as research and automation helped improve hen care, health and productivity. UEP leaders felt the organization could be streamlined to more efficiently and effectively meet farmers’ changing needs. In 1998 the five regional offices consolidated services into one national organization headquartered in Atlanta, and a by-law change allowed individual egg farmers to be direct members of the national group. 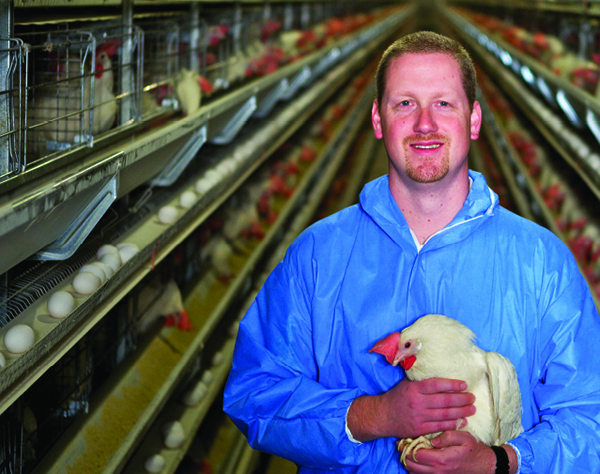 As a result, egg farmers could provide greater input into initiatives and policy, UEP membership grew, and producers became highly engaged in national leadership. Recognizing the need for representation for organizations affiliated with egg production, UEP formed the United Egg Association (UEA) in 1983. Expanded in 1995, UEA serves as a national trade association representing three distinct segments of the U.S. egg industry – further processors, allied members, and producers and packers.